Grid computing is an emerging framework which has proved its effectiveness to solve large-scale computational problems in science, engineering and technology. It is founded on the sharing of distributed and heterogeneous resources capabilities of diverse domains to achieve a common goal. Given the high dynamism and uncertainty of these systems, a major issue is the workload allocation or scheduling problem which is known to be NP-hard. In this sense, recent works suggest the consideration of expert schedulers based on Fuzzy Rule-Based Systems (FRBSs) able to cope with the imprecise and changing nature of the grid system. However, the dependence of these systems with the quality of their expert knowledge makes it relevant to incorporate efficient learning strategies offering the highest accuracy. 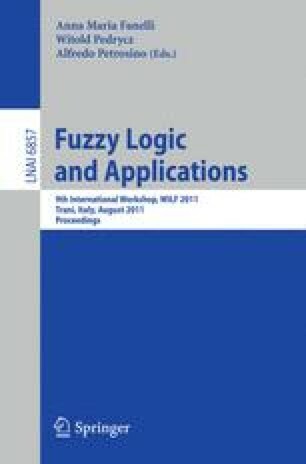 In this work, fuzzy rule-based schedulers are proposed to consider two learning stages where good quality IF-THEN rule bases acquired with a successful and well-known strategy rule learning approach, i.e., Pittsburgh, are subject to a second learning stage where the evolution of rule weights is entailed through Particle Swarm Optimization. Simulations results show that evolution of rule weights through this swarm intelligence -based strategy allows the improvement of the expert system schedules in terms of workload completion and increase the accuracy of the classical genetic learning strategy in FRBSs.